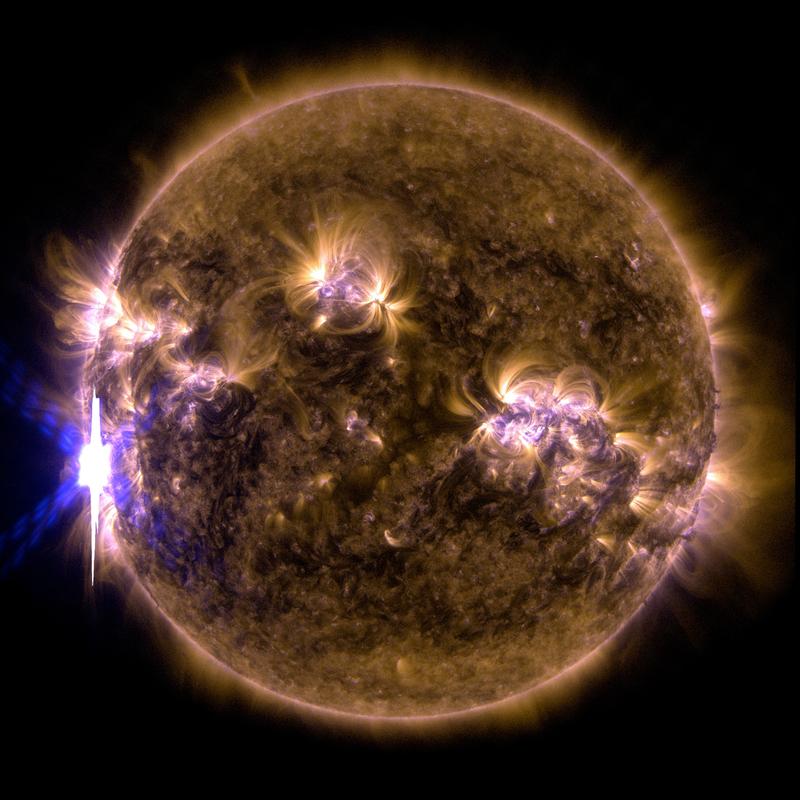 The sun emitted a significant solar flare, peaking at 7:49 p.m. EST on Feb. 24, 2014. 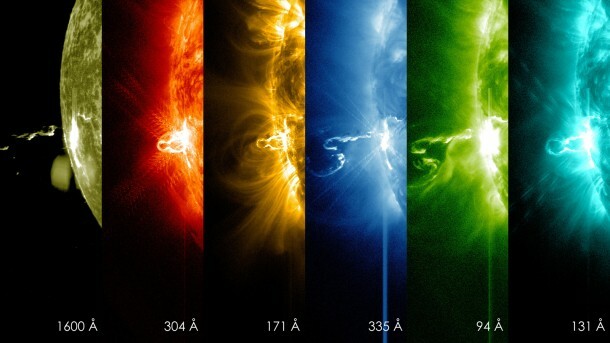 NASA’s Solar Dynamics Observatory, which keeps a constant watch on the sun, captured images of the event. Solar flares are powerful bursts of radiation, appearing as giant flashes of light in the SDO images. Harmful radiation from a flare cannot pass through Earth’s atmosphere to physically affect humans on the ground, however — when intense enough — they can disturb the atmosphere in the layer where GPS and communications signals travel.